Today was the Muster at the Chicago Fire Academy hosted by the 5-11 Club of Chicago. This event ran from 8am-1pm today and hosted a variety of antique and newer fire apparatus and fire equipment. Demonstrations were done using fire trucks from the 1920’s through today. Vendors were on site for the firematic swap meet and there as a apparatus parade at 9:30am. Here is just one of the many photos that were taken today (keep a look out for more photos to be posted throughout the week). 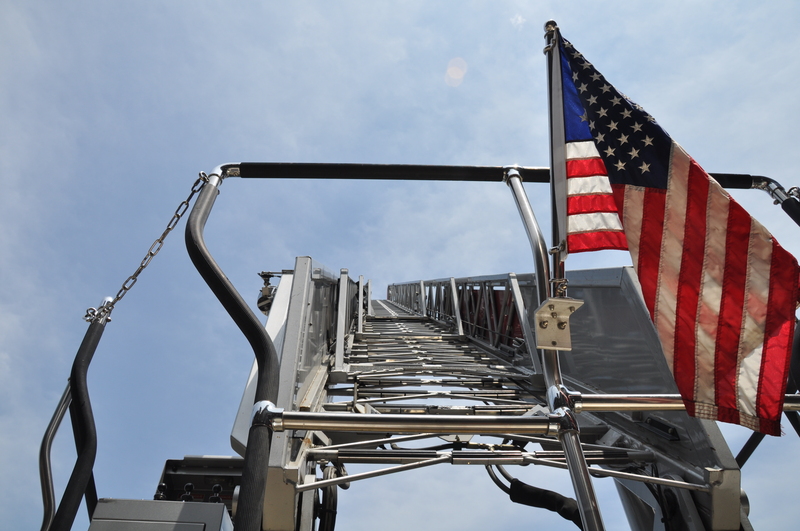 This is a photo of a ladder extended from a ladder truck inside the confines of the Chicago Fire Academy. This entry was posted in A Fallen Hero, Amusement, Chicago, Festivals, Firehouses, Life, Museums. Bookmark the permalink.